The EDM sector is a diverse niche market with market players based around the globe. The range of available products is relatively small; MANN+HUMMEL offer 50 EDM filters, for example. Why are EDM filters needed for a spark eroding machine? A spark eroding machine is a machine tool used to shape electrically conductive workpieces by removing small particles. An electrically charged electrode is placed in a dielectric (non-conductive) fluid along with the workpiece. When an electric voltage is applied between the workpiece and the electrode, a spark is generated which removes a particle from the workpiece. If the fluid contains a large amount of particles, however, there is a risk that the spark will be diverted and the wrong part removed. It is therefore essential that the fluid does not contain any impurities, which is where our EDM filters come in. They are there to remove any eroded particles from the liquid. 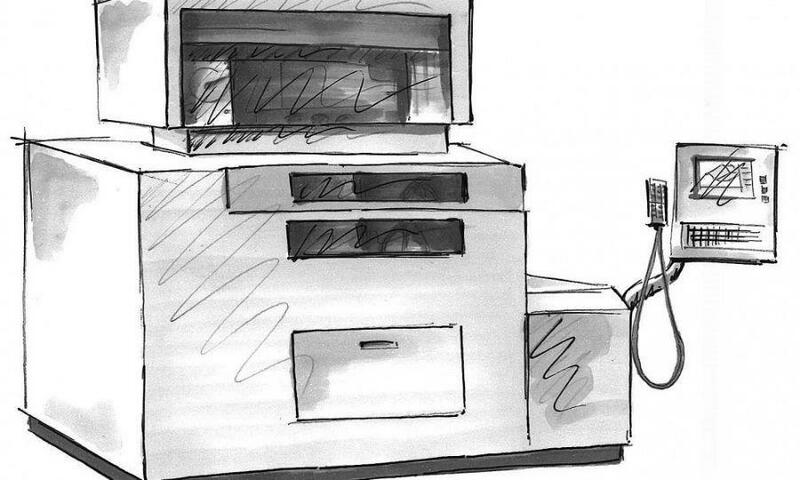 The technical ins and outs may sound quite abstract, but the practical benefits can be seen in many everyday devices. For instance, spark eroding machines are used to make tools for producing tooth brush handles. Likewise, the tool for making the small ridges around the edge of the euro coin is produced using a spark eroding machine. In a more industrial context, the individual blades inside turbines are also produced using a spark eroding machine. This requires a very high level of precision, so extremely fine filters are needed. Even the smallest of deviations from the design can impede the turbine’s rotation, and if you think how fast a turbine rotates, you can imagine the consequences of any flaws. Increased environmental problems in recent years around the world have led to an increase in public awareness of environmental concerns and nature. MANN+HUMMEL is aware of its economic and ecological responsibility to society. Accordingly, we are committed to an environmental management system dedicated to the continual improvement of our products. During the development of Mann Hummel metal-free EDM filter series the content of this environmental management system was our top priority. As a result, we have completely eliminated the need for metal components, which is a responsible and efficient use of resources. In addition, MANN+HUMMEL uses modern development and production processes with the emphasis on materials which are environmentally friendly and energetically reusable. Traditional EDM filter elements usually consist of an external housing of metal with a metal centre tube, an internal filter bellow and the two metal end caps bonded with adhesive. Furthermore there are also hybrid designs available with housings in metal and plastic. 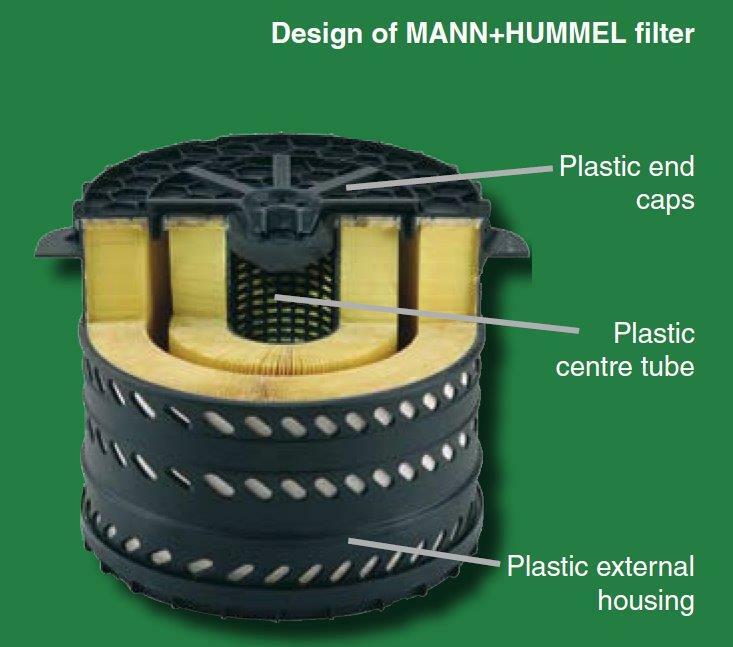 MANN+HUMMEL plastic filters are made of homogeneous plastic and completely free of metal. The shape and weight of all the plastic components has been optimised and the parts are efficiently produced in an injection moulding process. A double bonus for the environment: A modern production process and the easy disposal of the product afterwards conserve resources and support the environment. 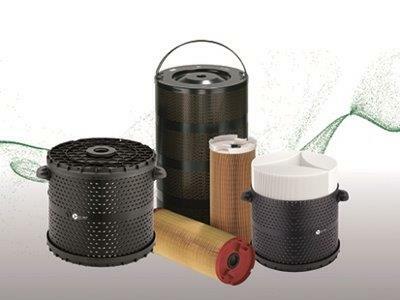 For more than 70 years, MANN+HUMMEL has been a filter specialist and a qualified development partner of the automotive and mechanical engineering industries. 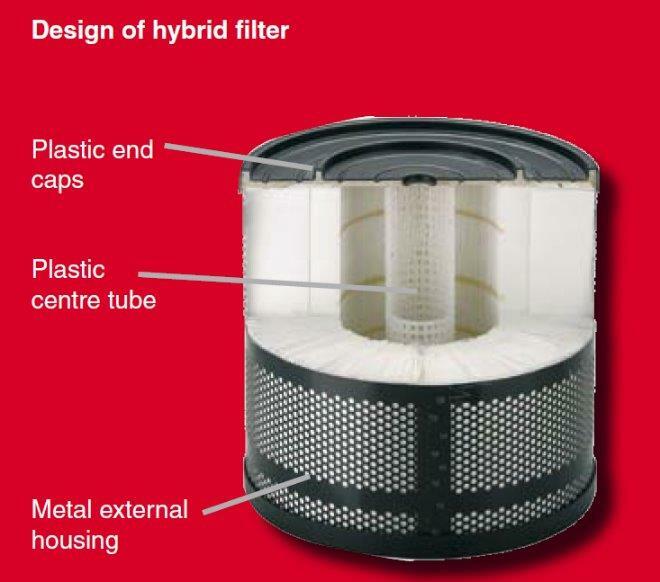 At Multifactor Europe we use Mann Hummel because they are among the leading global filter manufacturers and, with MANN-FILTER, one of the strongest aftermarket brands. The highest quality for the most stringent requirements.